New Orleans I can’t exactly prove this yet, but the pattern is pretty gross already, and if I were a bettor, I would lay odds on the outcome. This is about housing and how things slide downhill when no one is watching and no one really cares. This sad story starts with the foreclosure crisis triggered by sloppy, scandalous, and speculative banking practices and may end in even more exploitation when some of these same houses end up almost a decade later deteriorating neighborhoods and in even more exploitative contract for deed “sales” in the credit desert for lower income communities still lingering in the wake of the Great Recession. Ok, everyone knows that millions of homes ended up in foreclosure when the residential real estate market crashed in 2007-2008. Banks were over-leveraged in securitized loans heavily populated with mortgages that unsupervised brokers had patched together, often in a mixture of fact, fantasy, and falsehood. The government bailed out banks to the tune hundreds of billions, including taking over quasi-public FNMA and other government insurers of these mortgages. The homeowner, trying to hang on, got precious little help because the government allowed banks to administer the modification and forbearance programs, giving financial institutions little incentive to write down the mortgages to post-recession market prices which would have allowed some buyers to hang on, but would have weakened the balance sheets of the banks. Although there is still outrage that none of the top dog bankers were really held accountable, the Justice Department and other agencies and some states have won multi-billion dollar settlements from the banks for their irresponsibility. Most of the settlements required them to pay fines to the government, but also required them to modify mortgages more extensively. Critics of the settlement terms always raised the fact that allowing the banks to use some of their penalty money to write down mortgages, essentially was giving them permission to move money from one pocket of their pants to another, which counts as a reward, rather than a punishment. It is now clearer in reporting done by both the New York Times and the Wall Street Journal that another big loophole, especially for big Wall Street financial titans like Goldman Sachs, allows them to satisfy the terms of the settlements by purchasing foreclosed properties from FNMA and flipping them for a profit. Goldman successfully scooped up two-thirds of a recent FNMA auction which translated into 8000 homes with unpaid balances of $1.4 billion costing Goldman $5.7 billion. The settlement requires they provide $1.8 billion in relief so by their reckoning this transaction could get them close. Overall the Journal reports that Goldman has acquired 26,000 homes from Fannie and more from Freddie, private sellers and others. 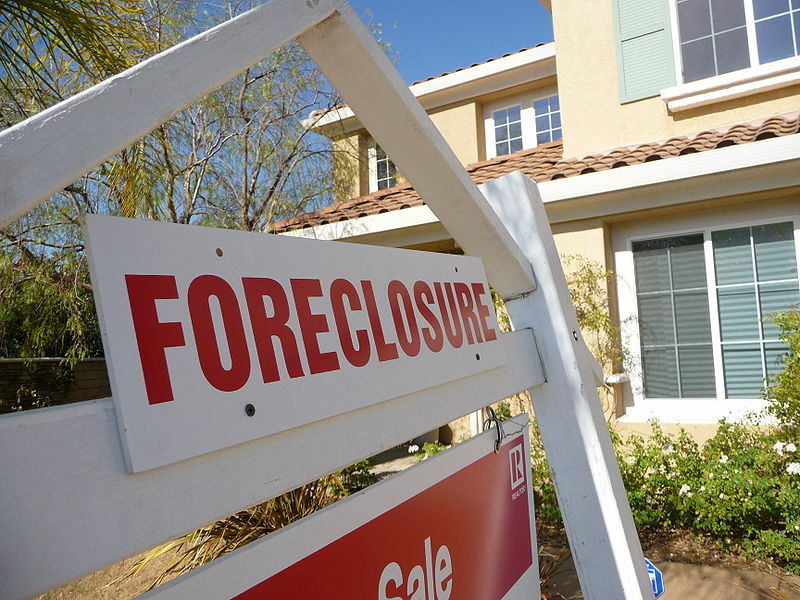 Rather than modify or repair, many end up in another foreclosure and are sold off in bulk as well through a subsidiary, MTGLQ Investors LP. I would bet a bunch of this inventory is also being off loaded to other bottom fishers, hedge funds, and shady operators to then be recycled through predatory contract for deed and rent-to-own arrangements at high interest and no equity to continue the vicious cycle of exploitation and neighborhood destruction. The surest bet is that none of these financial institutions are offering standard mortgage loans in these low-and-moderate income communities given the higher credit scores and other lower loan levels required. I’d like to be proven wrong, but this is where the trail is leading, and none of the paths are pretty.